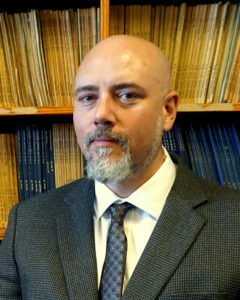 Newswise — Dr. David Borrok, a professor of geosciences and director of the School of Geosciences at the University of Louisiana at Lafayette, has been named chair of geosciences and geological and petroleum engineering at Missouri University of Science and Technology. The appointment takes effect August 1. David Borrok, chair of geosciences and geological and petroleum engineering. Borrok is inaugural director of the Louisiana geosciences school, which consists of undergraduate and master’s programs in environmental science and geology. Borrok was previously on the geological sciences faculty at the University of Texas at El Paso and also served as interim director of the Institute for Coastal Ecology and Engineering (now known as the Institute for Coastal and Water Research) at Louisiana-Lafayette. He received a bachelor of science in geology and geophysics from Missouri S&T, a master of science in economic geology from the University of Michigan and a Ph.D. in geomicrobiology and geochemistry from the University of Notre Dame. In addition to his academic career, Borrok spent several years in the private sector, working as a mineral exploration geologist in the United States, Europe and South America and as a site manager and project scientist for a consulting company. He has also worked as a postdoctoral fellow with the U.S. Geological Survey. “My new department is home to one of the most compelling and unique combinations of geology and petroleum engineering and science programs in the country,” Borrok says. “I plan to find and create opportunities to elevate each of the programs individually, and the department collectively. Borrok succeeds Dr. Francisca (Franca) Oboh-Ikuenobe, a professor of geosciences and geological and petroleum engineering who served as interim chair and remains on the Missouri S&T faculty. “I want to thank Dr. Oboh-Ikuenobe for her outstanding leadership,” Brow says. “She’s been an excellent advocate for the department, both on and off campus. I know she is eager to return to her full-time responsibilities in the field, lab and classroom as a GGPE faculty member.